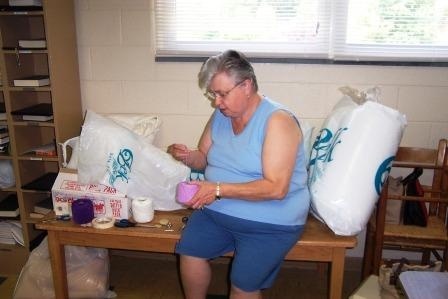 In 2006, Lutheran World Relief shipped 22,400 quilts to the Gulf Coast residents displaced by hurricanes Katrina and Rita. 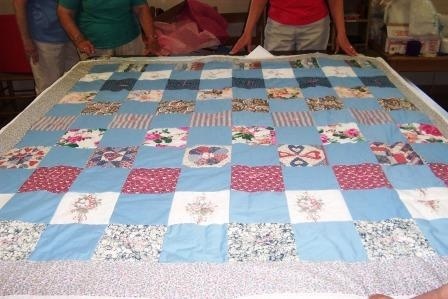 At least one or two quilts made each Sew Day are given to the Verona Community Food Pantry for distribution to a needy family in our area. Also, baby quilts are given to the Food Pantry. One of our sewers spends a lot of time during the summer months at yard sales to purchase material for the ladies to use. Many times when the owners are told why she is buying the fabric, they quite often give it to her without charge. We have a day of fellowship and also enjoy a bag lunch together at Noon. 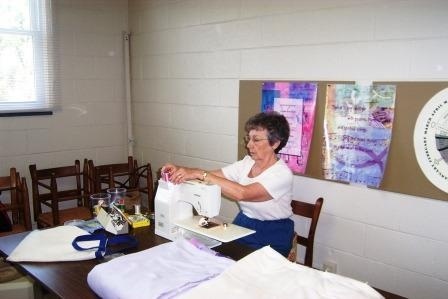 The Sewing Circle of Christ Lutheran Church gets together several months of the year to make quilts for Lutheran World Relief. 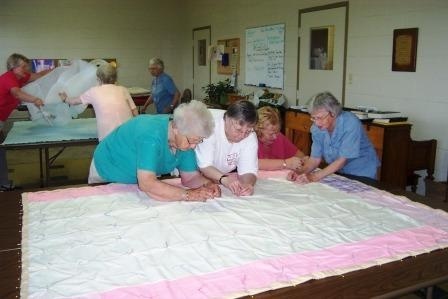 This is a fun day for the ladies who come to assemble the pieced tops and bottoms with a warm filler to keep people all over the world warm at night, cooler during hot days and even to use as a room divider.